Mat rental can help reduce the risk of slip and fall injuries in the lunchroom. The lunchroom (cafeteria) sees a lot of foot traffic each and every day. And when lunchtime hits and hunger sets in, people practically run to the lunchroom to avoid those long lines. We don’t blame them, but this isn’t exactly the safest practice, especially on those rainy April days. With hundreds of people coming and going, it is easy to track water and debris in from the outside. The words “Slippery When Wet” come to mind. Unfortunately, when people are in a hurry they tend to not look where they are going. This is when slip and fall injuries occur. According to the Centers for Disease Control and Prevention (CDC), over one million Americas suffer a fall-related injury every year. And this is just the beginning. 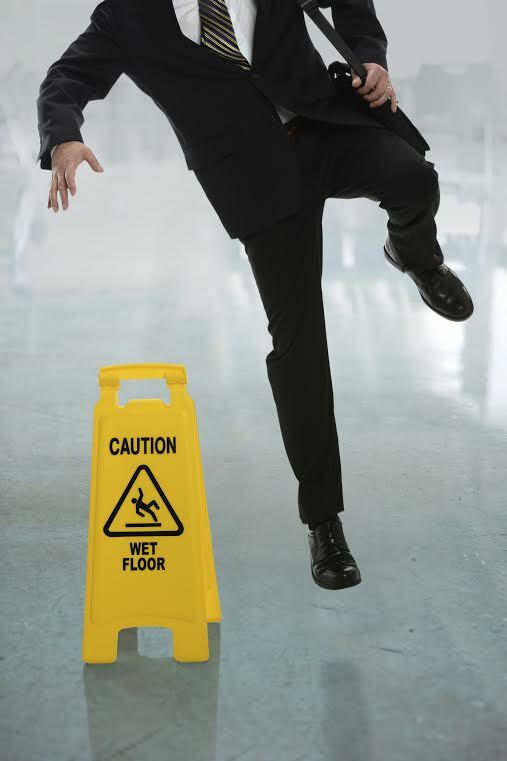 85% of all worker’s compensation claims are attributed to employees slipping on slick floors, according to Industrial Safety & Occupational Health Markets 5th edition. Slips and falls are the leading cause of occupational injury for people aged 55 years and older, according to the National Floor Safety Institute (NFSI). Floors and flooring materials contribute directly to more than 2 million fall injuries each year, according to the Centers for Disease Control and Prevention (CDC). 22% of slip and fall accidents resulted in more than 31 days away from work, according to the U.S. Bureau of Labor Statistics. One of the best ways to prevent slip and fall injuries is by placing mats in each entryway, especially those leading to the outside. These mats help buffer moisture that would otherwise be tracked into your building, increasing the risk of a slip and fall injury. For over forty years, Lord Baltimore has provided reliable, cost effective uniform towel rental services throughout Maryland, as well as Washington DC, Northern Virginia, Southern Pennsylvania, and Delaware. But did you know that the company you trust with your uniform rental services also offers a full line of walk off mats? Our mats are designed to help minimize moisture and thus minimize slip and fall injuries in the workplace. Our mats hold up to eight pounds of water and feature tapered edges to create a smooth transition, rather than a hazardous gap. To learn more about how Mat Rental can help improve your business, please contact Joe Bateman at Lord Baltimore by calling 800-292-1224 or visit LordBaltimoreUniform.com. We also handle towel rental for gyms and salons; apron, towels, uniforms and mats for restaurants; and uniform, shop towel, fender cover and mat rental for manufacturing and automotive industries. This entry was posted on Friday, April 17th, 2015	at 3:57 pm	. You can follow any responses to this entry through the RSS 2.0	feed. Both comments and pings are currently closed.